Since 2001, we have provided support in all areas of hydraulics and fluid power to customers like you. Customers that understand the value of hard work and strong relationships and strive for continuous improvement. When you work with us, you can capitalize on the network of vendors and partners we have built, helping you streamline your supply chain and manufacturing processes — without sacrificing service and support to your own customers. Our commitment to using OEM parts in repair work is an example of the excellence we work toward every day, as we try to deliver the highest quality work that is on-time, on-budget and exceeds your expectations. We are an independent, full-service hydraulic facility, and we work hard every day to get better at everything we do. We believe it’s the best way to do the best job we can for customers like you. It’s been that way here for nearly 20 years, and we intend to keep it that way. At Fluid Power Solutions, we believe that it takes knowledgeable hard working people to fulfill the hydraulic needs of many different industries. Our goal is to be a technical leader in fluid power by providing technical support and solutions to our customers as a value-added service. To ensure this, we have a staff made up of hydraulic specialists with four-year degrees. Since we opened our doors in 2001, we have specialized in the total repair of Denison hydraulic units and now Parker HPD pumps and motors. 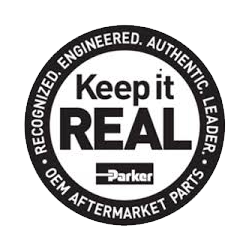 While we can repair just about any hydraulic unit, our specialty lies in repairing Parker products, with a focus on piston and vane products. Our in-depth, expert knowledge of Parker products is recognized around the world. Not only are we are often asked to repair pumps for customers outside of North America, we also provide support to other hydraulic repair companies who are aware of our deep knowledge and stocking levels of Parker Gold Cup and Premier product lines. We commit to having the highest trained professionals focused on sales and applications of Denison hydraulics and components. We can support all your needs from new products through service programs. We strive to have the fastest turnaround time in the industry to keep you and your operations up and running.